When I think about Meissen, childhood memories resonate of long afternoon teas and small and delicious cookies and a lot of grown ups discussions. 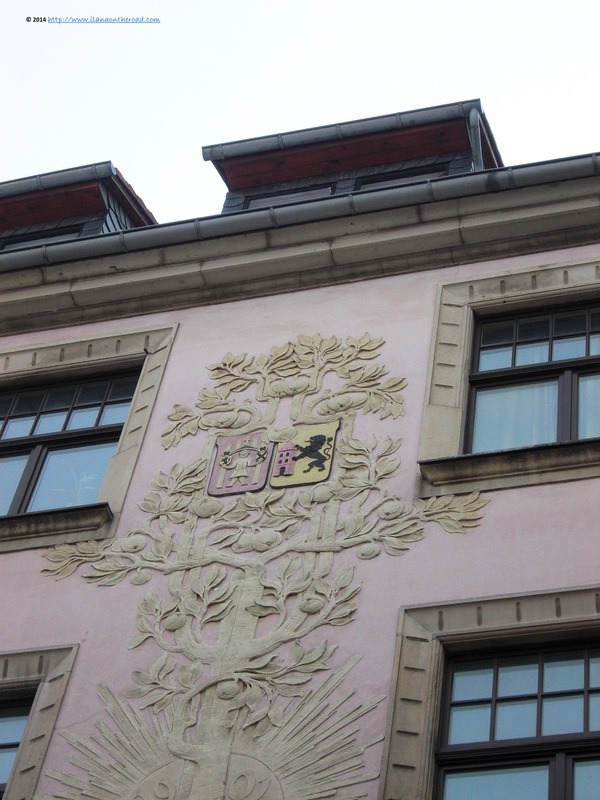 On Proust's footsteps, I am looking to discover the real Meissen. 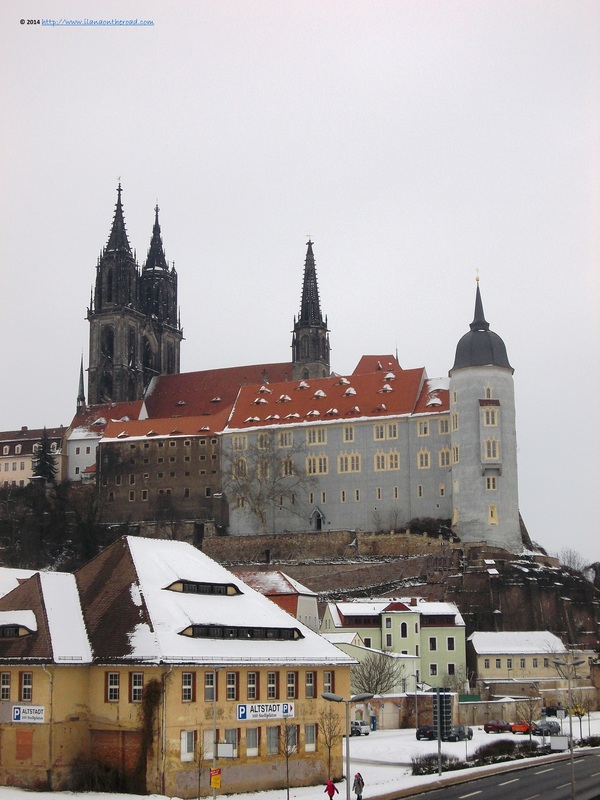 From Dresden, I took a train that 40 minutes later brought me there, through a landscape of wineries, horses looking as black dots on the white blanket of snow, and picturesque castles on the top of the hills. Despite the grey winter landscape, I can figure out the beauty in spring and summer. 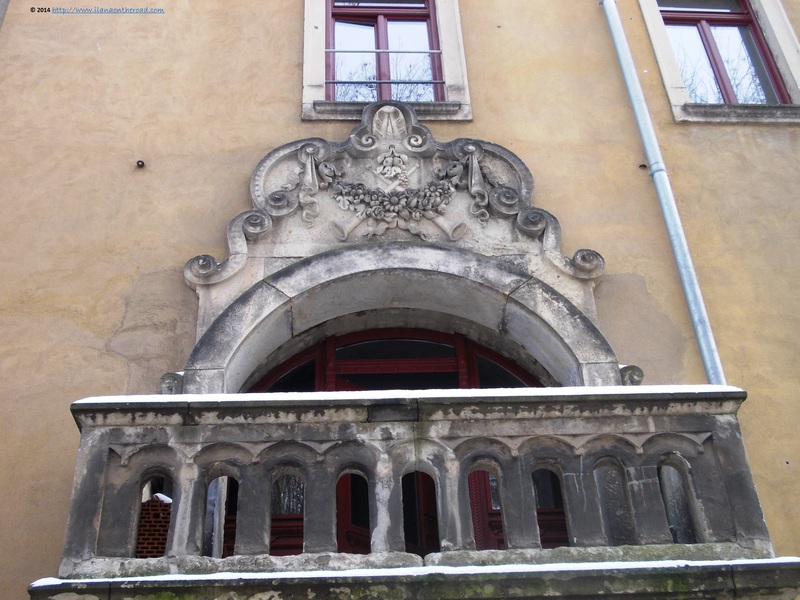 I stop at the Altstadt station and take a little tour around the old buildings. I am walking slowly in the direction of the main square, following Hahnemannstrasse, with a small stop at an inviting cheese shop: Käsehandlung Martin, offering a variety of cheeses, from Corsica to Tirol and the local Sachsen products. The buildings around the main square bear at least 2 centuries of life, and sometimes the different styles and influences are visible. Despite the early hours and the relatively cold weather, the historical area is full of tourists, many of them looking for some good coffee and a breakfast. All around, many caffés and restaurants serving basically German menus are ready. Outside the main historical area, some of the historical buildings need a lot of repaint and probably, even more money. 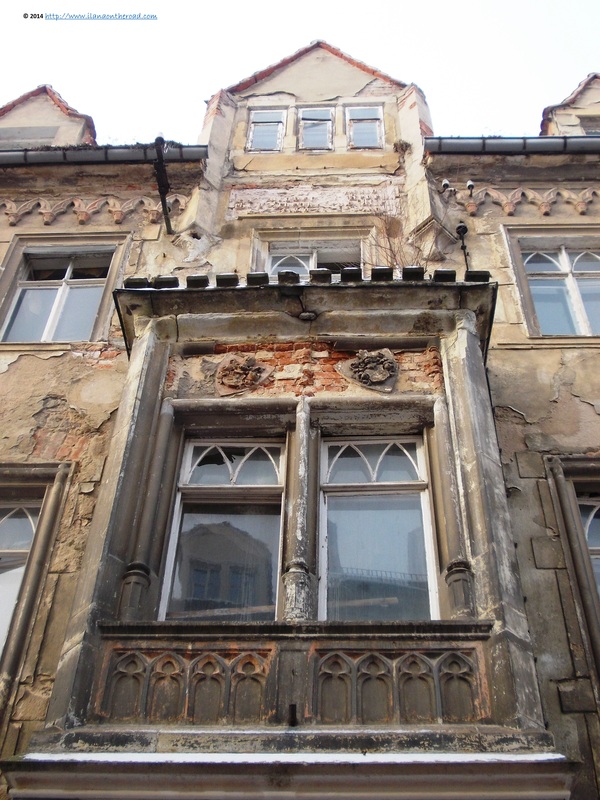 As Meissen used to be part of the communist Germany, the old patrimony suffered because of the lack of funding. 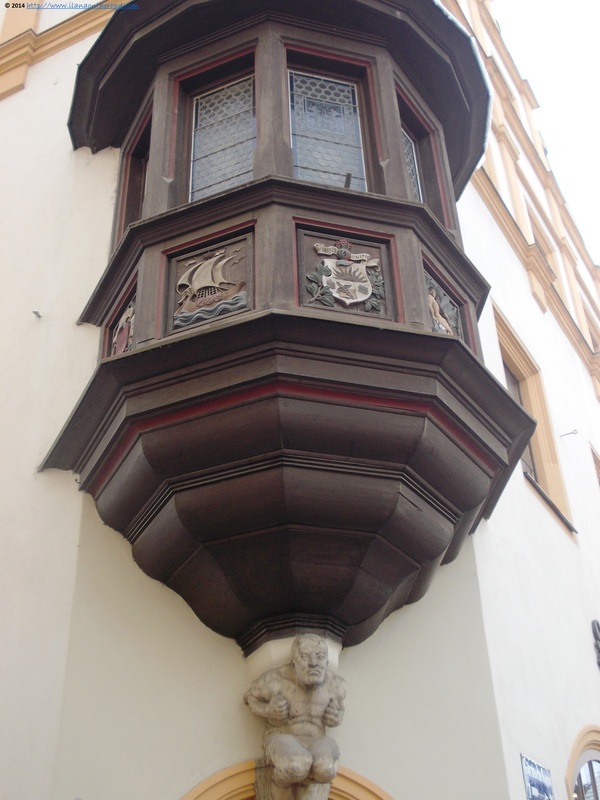 However, some of the old buildings are beautifully decorated, with stone statues whose fine line and models remind of the patterns used by the classical Meissen porcelain. After almost 2 hours of wanderings in town, I arrived at my main destination: the famous porcelain manufacture where I am offered a complimentary tour of the premises. Despite being the oldest factory of this kind in Europe, created in 1710, the Manufaktur is hosted in modern buildings and its techniques were adapted to the challenges of the new table tastes. The porcelain art reached such a great finesse that I am very surprised to find out that the beautiful lilly in the lobby doesn't smell as it is made entirely of porcelain (except the leaves). 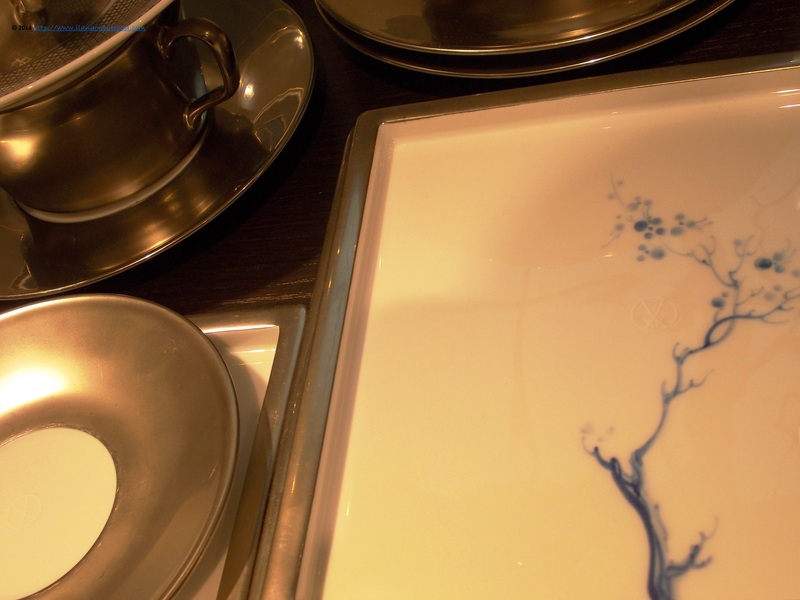 The basic tour of the manufacture - that can be booked for groups or individual tourists, as well as for schools - includes an interesting journey through the each stage of the preparation of the delicate pieces of porcelain. It starts with a movie, introducing the almost 200,000 exclusive models and continues with a visit to separate workshops where the porcelain is prepared. I love that I can also interact with the artists that despite the extreme finesse requested for the painting and decoration of each original piece, they still have time to answer my questions. It's fascinating to observe how the colours - the recipes of 10,000 nuances and colours are a well kept secret of Meissen - changing through the various processes and the diversity of ways in which the porcelain can be used. 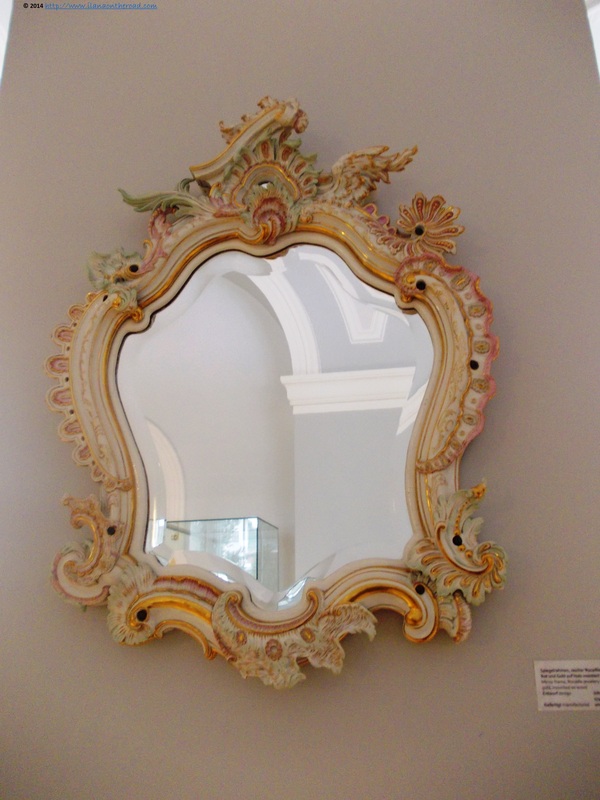 Besides a shop and a gourmet restaurant, the manufacture includes also a museum where the most important pieces of porcelain are presented. 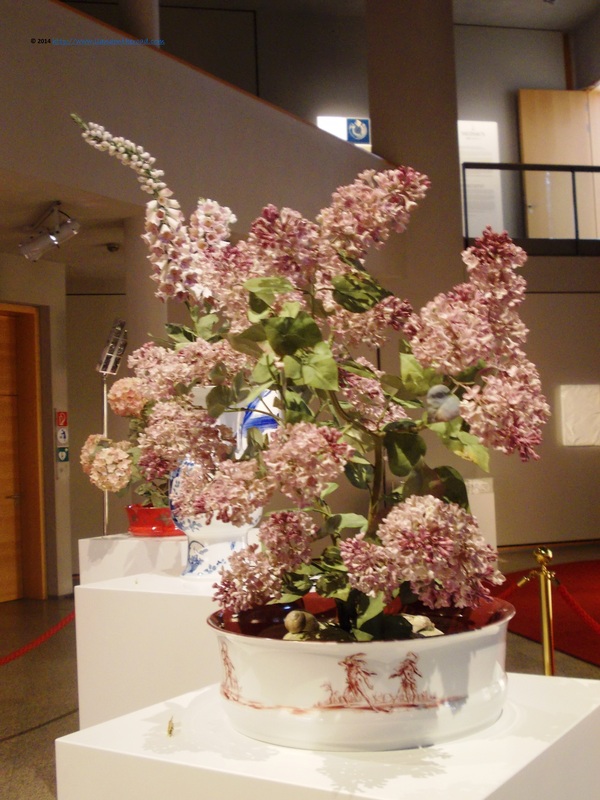 It shows not only how the art of porcelain developed, but also how our European perception of the world changed. An example is the 100-kilo elephant created in the 18th century which looks quite far from the real elephant we are familiar with nowadays. At the time, the 'exotic' animals were not familiar and their representations were the result of disparate and very often inaccurate observation of travellers. 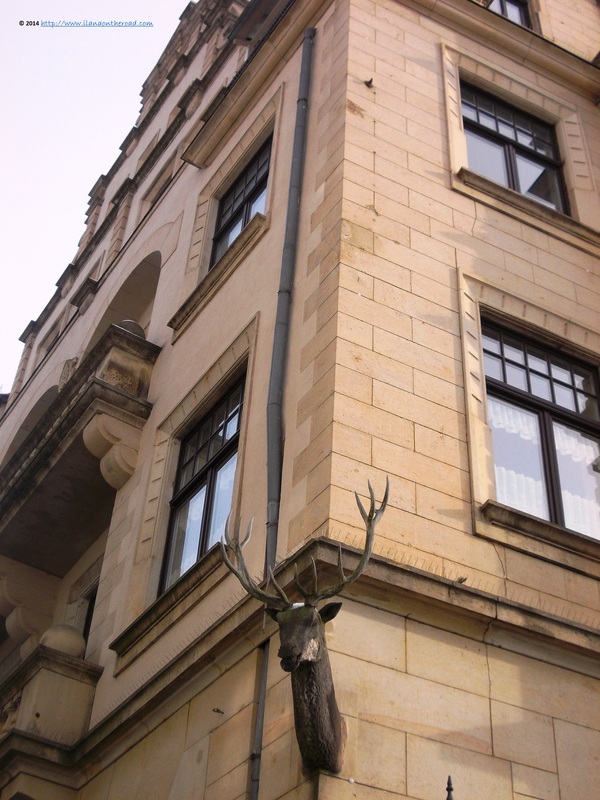 The museum also shows various works that represented Germany at international exhibitions and exquisite unique arts, many inspired from the daily life of the local inhabitants - for instance, a detailed scenery of a visit to the dentist. 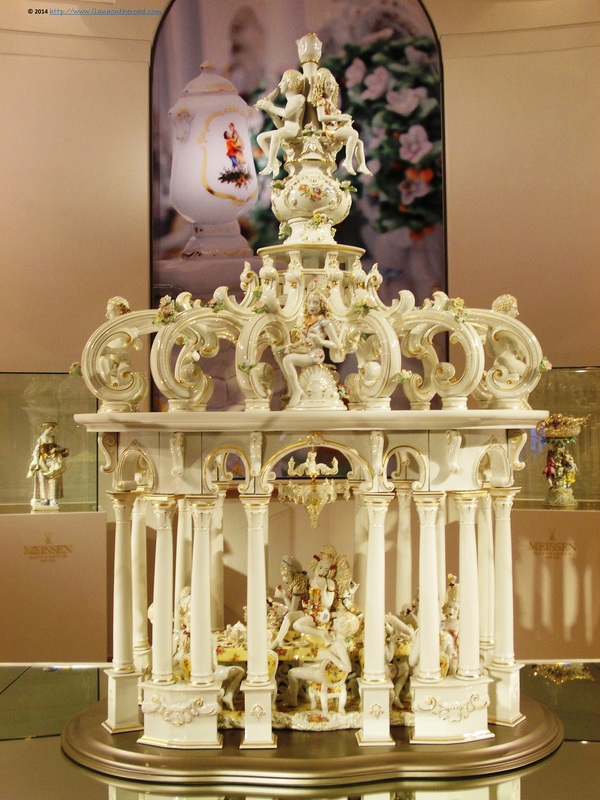 The crossed swords, part of the Sachsen coat-of-arms, the symbol of Meissen porcelain are showing the centuries long association between this art and the local traditions. 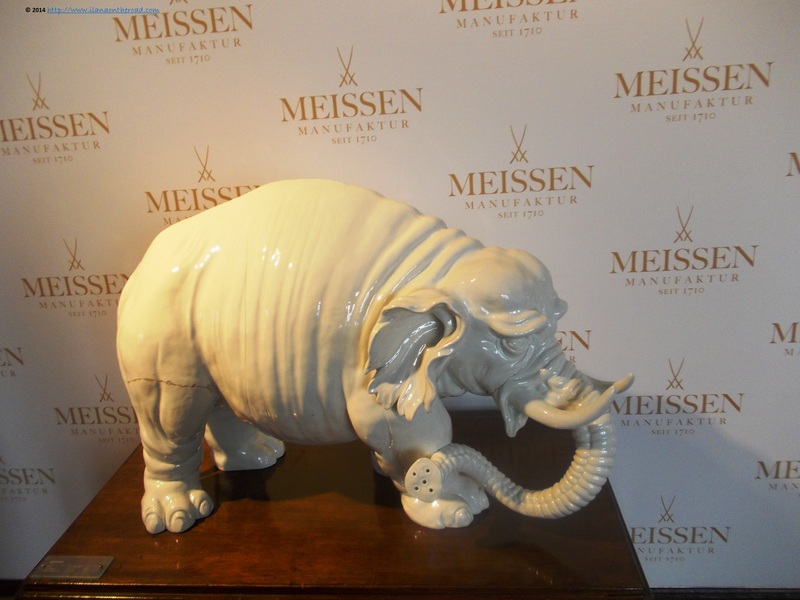 Trying to keep up the pace with the challenges of the modernity, Meissen extended the brand to fine arts and fashion. Plus, since 2009, an 'artists-in-residence' program was launched. International renowned artists, among which Frank Stella, as well as young talents from China and the Middle East are invited to give a boost to their inspiration using the impressive local resources. Some of the works are exposed at the manufacture, such as the impressive porcelain installation by Chris Antemann. The two hours spent in the magical world of Meissen porcelain made me feel I am on a different planet, populated with colourful and delicate porcelain little humans. The cold and the snow outside brings me to reality, yet still looking at the world around in a different, warmer way. After a couple of more walks around, under the serious shadow of the Albrechtsburg castle, the first castle used as a royal residence in the German speaking area, I run to the train station.